Leading Manufacturer of non compressible 3 station vertical bottom tilting type from Coimbatore. Owing to our enriched industrial experience, we are providing our clients Non Compressible 3 Station Vertical Bottom Tilting Type. Our offered products are accessible in various specifications to choose from. The offered products are developed with leading techniques and quality-proven material in sync with the set standards. Also, we are giving these products to our customers at nominal rates. 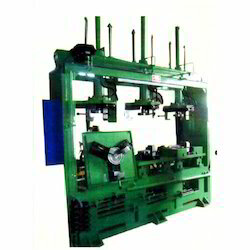 Looking for Vertical Bottom Tilting Type ?